During cold weather, it is common to spend more money on indoor climate control whether you use an HVAC system, oil heat, or baseboard heaters. Read on and learn seven ways to heat your home efficiently and lower your heating bills during the winter. Gaps around your windows and doors allow heat to escape your home and cold air to creep in. To prevent this leakage and heat your home efficiently, caulk around your windows to seal any gaps. Periodically stripping away old caulk and applying a fresh layer around your windows will prevent this heat loss. Also, apply weatherstrips around your doors and check for any gaps around your electrical outlets. Make sure your vents are clear with no furniture placed over them so that your home heats more easily and your system doesn’t have to work as hard. For even more of a benefit, vacuum out the vents regularly to remove dust and debris. Furnace filters should usually be changed every three months, or sooner if they are noticeably dirty. Also getting bi-annual tune-ups by a qualified professional will keep your heating and cooling systems performing their best so you can heat your home efficiently and save money in the long run. One of the best ways to heat your home efficiently is simply by retaining your home’s heat indoors. If your attic insulation is less than 12 inches thick, consider adding to it or upgrading the insulation to better trap the heat inside of your home. Also, wrap your water heater in an insulation blanket. 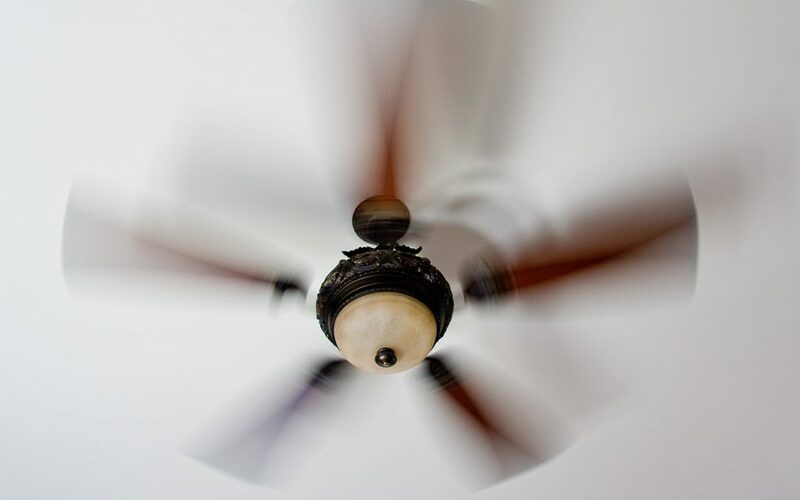 Make sure that your ceiling fans are rotating clockwise and run them on low. Since heat rises, your fan will push the hot air that collects near your ceiling back down into the room to keep your home warm. Use the largest natural resource of heat to your advantage. During the day when the sun is shining bright, open your south-facing curtains and let your home soak in the natural warmth from sunlight. The Department of Energy recommends that thermostats be set at 68 degrees Fahrenheit during waking hours and lower when you are sleeping or away from home. By setting your programmable thermostat this way, you can save up to ten percent on your annual home heating bill. Jones & Cooper Home Inspections provides home inspection services to Metro Louisville. Contact us to request an appointment.